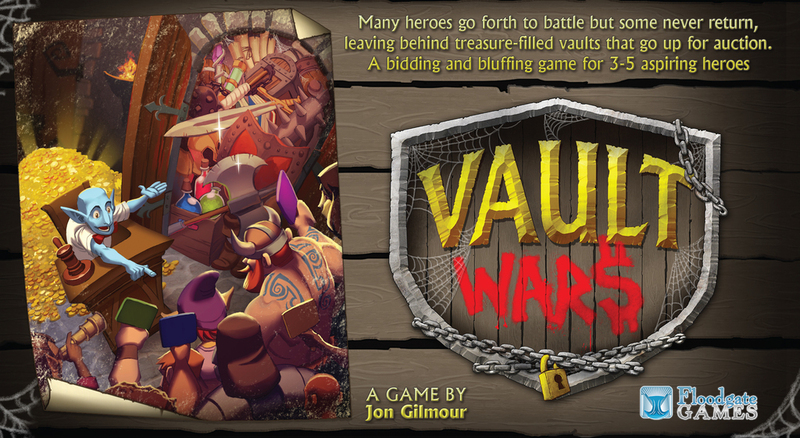 We’ve partnered with our buddies at Floodgate Games to give away their newest release, Vault Wars by Jonathan Gilmour. They’ve also agreed to toss in a very cool set of the upgraded components, including 60 custom metal coins & 8 wooden corruption tokens. 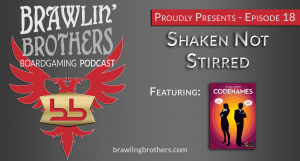 Get entered to win this awesome prize today, courtesy of Brawling Brothers and Floodgate Games! 2 lucky entrants will be selected to have Josh and Brandon play a game of virtual Paper/Rock/Scissor for them on the air in Episode 19. The winner of the Paper/Rock/Scissor match will win the great prize pack. Good luck! Many heroes go forth to battle, but some never return; leaving behind their prized possessions. You’ll be part of the bidding war for the vaults they left behind to gain valuable items — each providing Gold, Victory Points or new abilities. 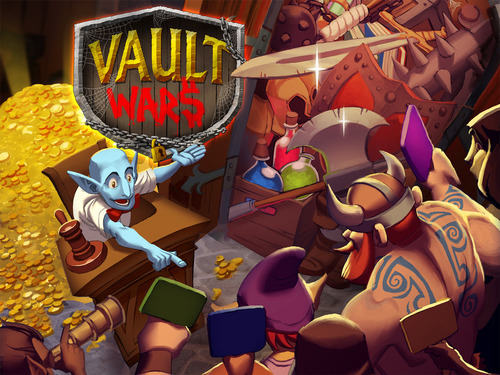 Outbid your opponents, equip artifacts to gain new abilities and find the gear your up-and-coming heroes are looking for to be victorious in Vault Wars. 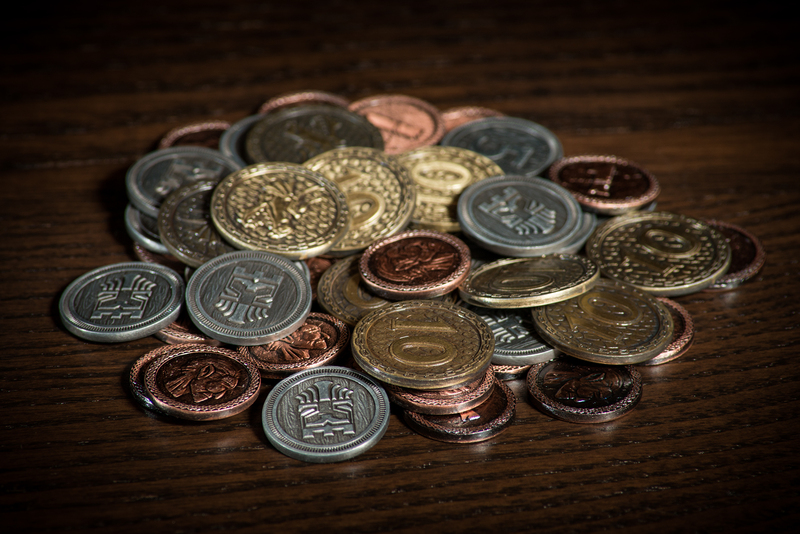 Players will take turns as an Auction Master, leading a cut-throat bidding war to selling off Vaults full of items to the other players. 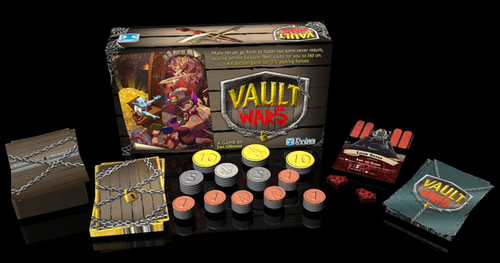 Each Vault provides a unique experience, introducing new ways for the players to bid. 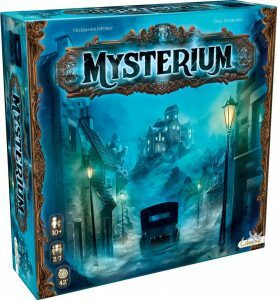 No player quite knows everything that’s in a Vault, and there’s lots of junk to fool your opponents into bidding on. Between auctions, players may sell off their items to gain Gold, or save them for Victory Points — paying storage fees to keep them around. Collect gems for massive Victory Points, Weapons to gain lots of Gold, or rare Artifacts to gain powerful abilities. Each player has up-and-coming heroes who are looking specific items, giving out bonus victory points (but try to keep that a secret from your opponents). The player with the most victory points after all the auctions will be the winner! 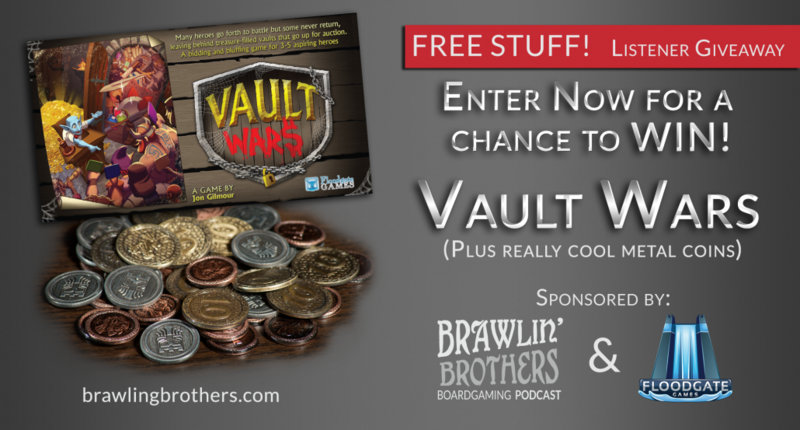 Vault Wars is a bidding and bluffing game for 3-5 player that plays in less than an hour.